Vern’s 40th Birthday Party and Video Première. 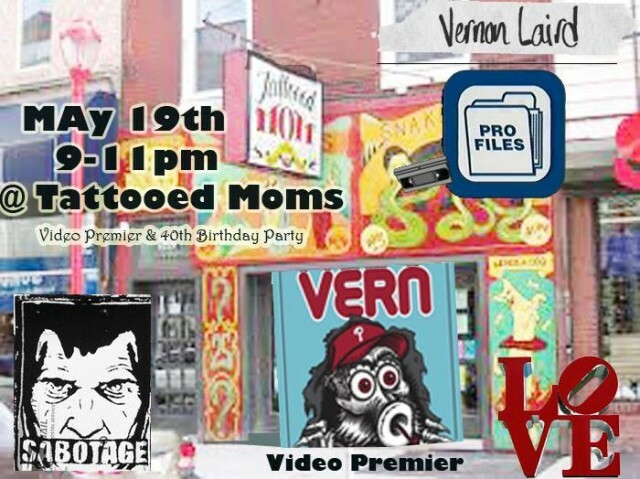 Brannon John Brian Panebianco Nocturnal Skateshop and Kinetic Skateboarding orga­nized a Birthday Party & Video Première for Vern Laird’s 40th at Tattooed Moms in Philadelphia TONIGHT. It starts at 9! The cast of char­ac­ters that will be out tonight is a lit­tle crazy to think about. ←rarr; The Vern Laird Part!